The National Film School (as it was originally named) opened in 1971, the culmination of a major effort by the industry and government to create an institution to educate and train talent for the British film industry. “Filmmakers should be missionaries for a better way of life.” NFTS founding Director Colin Young. Over nearly half a century the School has established itself as not only one of the world’s best film schools, for which it was honoured by BAFTA with the 2018 Outstanding British Contribution to Cinema award, but as a centre of excellence for television and games design and development too. But its history dates back much further – the site of the School has been a centre of filmmaking since Beaconsfield Studios first opened for business in 1921. The Studios were built in 1921 by George Clark Productions who moved from Soho to get away from the smog. The first production was a two-reeler comedy, The Beauty and the Beast written, directed and starring Guy Newall. Various productions followed until 1924 when all British studios went quiet. The finger of blame was pointed at the Americans for dumping their films on Britain; a quota was called for and in 1928 the Films Bill limited foreign films to 22.5% of the market. There was a rush of production activity and among new start-ups was The British Lion Film Corporation Ltd., with Edgar Wallace, the prolific thriller writer, as Chairman. 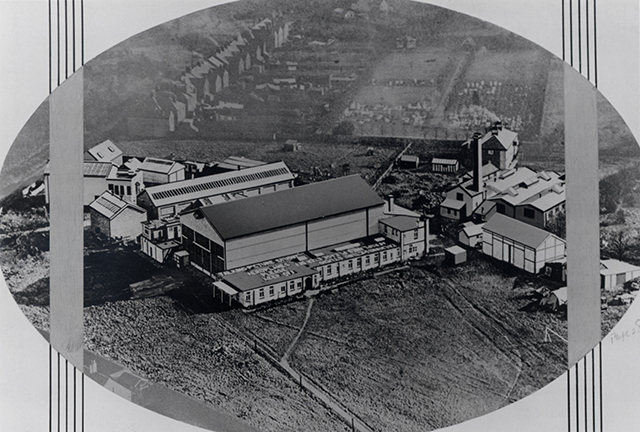 As Wallace lived down the road in Bourne End, the company purchased Beaconsfield Film Studios. Wallace's story The Ringer was the new company's first production followed, in 1930, by Beaconsfield Studios' first talkie, The Squeaker, directed by Wallace himself, with sound by RCA Photophone. Wallace then left for Hollywood to write King Kong for the then unheard-of sum of £800 per week. Between 1929 and 1939 those who came through the studio gates at Beaconsfield included John Gielgud, Sir Gerald Du Maurier, Emlyn Williams, Paul Robeson, Ben Lyon, Bebe Lyon, Gracie Fields, Margaret Lockwood, Jessie Matthews, Ray Milland, Herbert Wilcox, Val Guest, Hughie Green (as a boy actor), Sid Cole, David Lean (as an editor), Basil Dean, Carol Reed (as a writer), John Galsworthy, A.A.Milne and George Bernard Shaw. By 1939 another distribution crisis had hit the Industry and the Ministry of Works requisitioned the studios for Rotax to make aircraft engine magnetos for the war effort. In 1946, Alexander Korda bought British Lion. He kept the company but sold the freehold of the Studios to King's College Cambridge. The Crown Film Unit, with many of the staff from the GPO Blackheath Unit, moved in and the government spent a lavish £146,000 on refurbishment and equipment. 75 films a year were produced for the Central Office of Information by filmmakers who included John Grierson, Humphrey Jennings and Lotte Reiniger. In 1949, Following yet another exhibition crisis in the UK film industry, the Board of Trade introduced the Eady Levy, a tax on box office takings that was redistributed to British film producers as a mechanism to boost British production. The Crown Film Unit was wound up in 1951, but meanwhile the National Film Finance Corporation had set up Group 3, under chairman Michael Balcon (of Ealing Comedies fame), with a brief to encourage new British talent. They moved into Beaconsfield in 1953 and out again in 1955 when it was decided that a studio base was unjustifiable. The producer Peter Rogers took over Beaconsfield Films Ltd in 1956, making The Tommy Steele Story (1957) before moving to Pinewood to launch the Carry On series. Television first ventured into Beaconsfield when Screen Gems Inc rented space in 1957-58 for their Ivanhoe TV series, starring Roger Moore. Next to take a lease on the studios were Independent Artistes who hosted a respectable run of British films including Tiger Bay, Blind Date, Battle Of The Sexes, Never Let Go, The Bulldog Breed, VIP, Crooks Anonymous, The Fast Lady, Father Came Too, This Sporting Life and The Wrong Arm Of The Law. 1963 brought yet another production/distribution/exhibition crisis (all those popular films from the USA!) and in 1964 Independent Artistes departed. The final feature film based at the studios was Press For Time shot in 1966, with Norman Wisdom in his last starting role. The studios were then leased to the North Thames Gas Board, who used the premises as a warehouse. 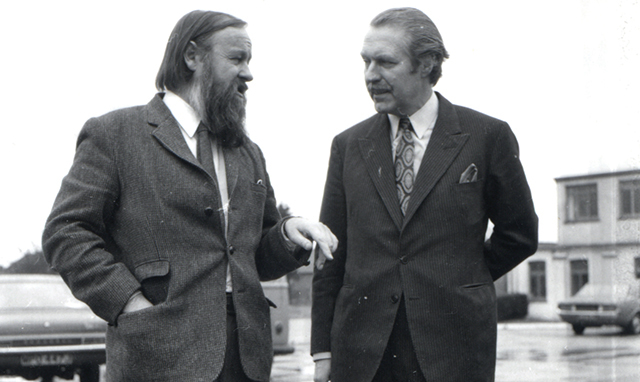 1971 saw a revival in the Studios' fortunes, when the NFTS purchased the freehold from Kings College with a grant from the Rank Organisation, making it the only UK film school with its own, purpose-built, film and TV studios and facilities. The studios set up by George Clark Productions have grown over the past eighty-five years both in scale and sophistication. Today, Beaconsfield Studios comprises film and television stages, animation and production design studios, edit suites, sound post-production facilities, a music recording studio and a dubbing theatre, all furnished with new generation digital equipment equivalent to that used at the highest level in today's film and television industry. In 1970, Colin Young, a Scot then chairing the University of California's Department of Theater Arts, co-founded the NFTS and was appointed as the School's first Director. 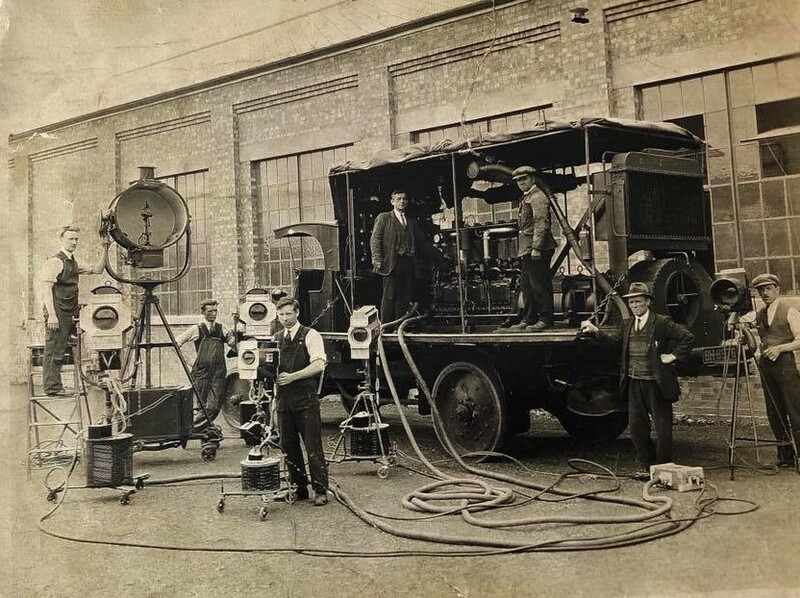 With a loan from Rank, the NFS bought the old Beaconsfield Film Studios in Buckinghamshire - which had been home to organisations as diverse as British Lion Film Corporation, The Crown Film Unit and the North Thames Gas Board - and set about refitting it to professional industry standards. 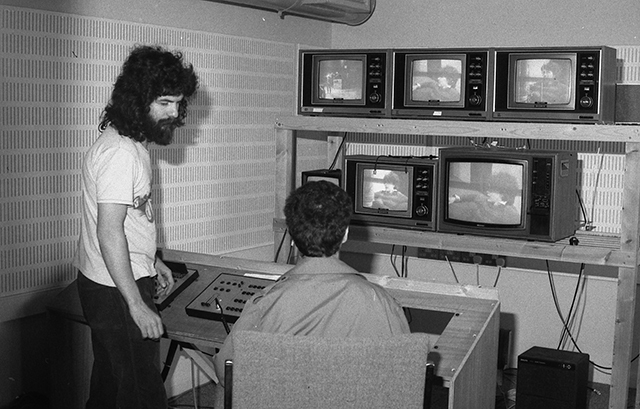 Young established four permanent departments - production, camera, editing and sound - and in 1971 the first intake of 25 students passed through the studio gates. Directors Mike Radford (The Merchant of Venice, Il Postino), Bill Forsyth (Local Hero) and Ben Lewin (Ally McBeal), pioneering documentarist Nick Broomfield (Aileen: Portrait of a Serial Killer), and visual effects specialist Dennis Lowe (Cold Mountain, The English Patient) were among their number. The curriculum in the early days was a loosely structured affair; sporadic seminars and workshops were secondary to production, with students spending most of their time doing exactly what they had come to the School to do - making films. But by the early 1980s, Young felt this laissez-faire approach no longer served the students' best interests and a more structured curriculum was introduced. Links with the Industry were strengthened, allowing students' idealism and creative talent to be matched with collaborative, financial and production expertise. In 1982, the School changed its name to The National Film and Television School, reflecting the fact that many of its graduates went on to make their careers in TV. That same year it launched a pilot project for continuing professional development. Financed by a one-off grant from the Eady fund, this led to the establishment of the National Short Course Training Programme (now ShortCourses@NFTS), which has been running courses ever since on all areas of film and television production. By the early 1990s, the NFTS had modified its original stance on course structure, deciding to provide specialisation at the time of entry. The first year still offered a general course, followed in the next two years by focused training in one of the ten specialist areas of direction, writing, editing, camera, sound, animation, design, producing, documentary and composing. Colin Young retired in 1992 and was succeeded by Henning Camre, formerly Head of the Danish Film School. Discipline and structure were concepts seldom heard of during the Young era, but Camre introduced time limits, budget targets and production slots both for course projects and graduation films. Pushing Young's earlier decision to offer more specialised training to its natural conclusion, Camre aimed for more balanced numbers in each of the ten specialist areas, creating separate departments with their own head tutors and curricula. The different departments were put on an equal footing to reflect the way the Industry outside was really functioning. At the same time, the full-time programme and the short course unit were fully integrated and television was given a much wider emphasis in the overall curriculum. Camre also secured a Lottery grant to install state of the art new equipment, positioning the School to take full advantage of new production methods offered by innovations in technology and ensuring that graduating students could compete with the best as they embarked on their careers. Camre moved on in 1998, to be succeeded by Stephen Bayly, an NFTS graduate and film producer (Richard III, Mrs Dalloway). His first move was to reorganise the curriculum to run over two years, instead of three. After a few weeks of cross-specialist workshops, where students swapped roles to learn the basics of each specialisation, courses focused in-depth on the professional field in which students had enrolled to train. 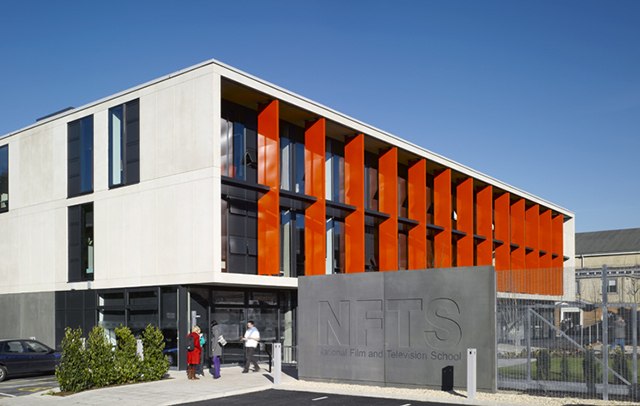 While NFTS courses had always been practice-based rather than academic, with graduates awarded a Diploma and Industry-recognised NFTS Associate status, Bayly recognised a growing trend towards a requirement for academic qualifications. The Royal College of Art agreed to validate the School's courses and 2000 saw the first intake of students who would graduate with an MA. In 2002, Bayly introduced the first of the shorter Diploma courses, established to meet an urgent Industry need for properly trained sound recordists. September 2003 saw Nik Powell, one of the UK 's leading producers (Mona Lisa, The Crying Game, Ladies in Lavender), pick up the baton from Bayly. Powell has rapidly expanded the programme of new courses, introducing MA courses in Producing & Directing Television Entertainment, Digital Post-Production and VFX/SFX; and Diplomas in Production Management and Script Development, the latter a partnership venture with The Script Factory. Drawing on his extensive international network of film and TV connections, Powell has reinvigorated the programme of visiting filmmakers, and set up a programme of masterclasses run at London cinemas for NFTS students and the public. He has also introduced a range of development deals with broadcasters and independent production companies to help new NFTS graduates get started and, in 2005, joined forces with NESTA (The National Endowment for Science, Technology and the Arts) to launch NFTS Inc, a Creative Pioneer programme supporting graduates of any UK film school develop start-up businesses in the moving image industry. Nik Powell stood down in 2017 and was succeeded as Director by Dr Jon Wardle, who had previously been the School’s Deputy Director and Director of Curriculum and Registrar. On his watch the School continues to grow. It now has more than 400 students across more than 30 MA and Diploma courses. It remains the only UK film school with its own film and television studios, and post-production facilities rivalling those of professional companies, its talented community of students makes over a hundred films a year on courses.